This is the third in a series featuring Charles Patterson, a musician in 18th century Newcastle. Charles is having a bad summer. It's too hot, he's having to work under a self-centred Italian music master and his not overwhelmingly talented family, he's being chased by thugs, and someone is trying to break into the house of the woman he can't admit he loves. To cap it all there's a murder and a wealthy partron thinks Patterson should find out who did it. The plot is satisfyingly complicated, largely because almost everyone is pretending to be something they're not. The main characters are strongly developed, though with a fairly large cast some tend to be more sketchily drawn. The character development means that the series repays being read in order. Class and social position are very well handled, with Patterson's dependency on the patronage of not always reasonable men evident throughout. One of the strongest features of the series is the evocation of 18th century Newcastle; in SECRET LAMENT it's a very hot, sweaty Newcastle indeed. One point, not mentioned on the cover of the book(s), is that Patterson's 18th century Newcastle isn't our 18th century Newcastle. In Patterson's Newcastle, dead people remain as spirits, attached to the place they died for some time and anyone can talk to them. A further complication is that there's also another Newcastle, in which the only spirits are alcoholic, which Patterson can occasionally visit. Patterson's increasing knowledge of this other world is another reason to read the series in order. It's also a reason for anyone with zero tolerance for woo-woo and the paranormal to avoid the series. 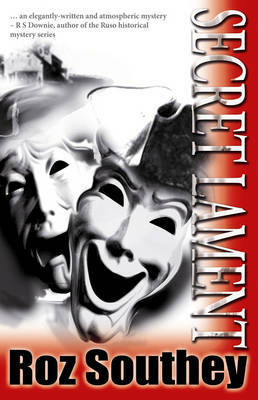 In short, SECRET LAMENT is a good entry in a good series.